It has been nearly three years since the Fight of the Century between Manny Pacquiao and Floyd Mayweather took place. Right now Pacquiao feels he is ready for a rematch. After winning his WBA world featherweight title he feels that he is well prepared to challenge Mayweather. After the WBA fight, Pacquiao held a post fight conference during which he was asked many times whether he was planning to fight Mayweather again. “My message is I’m still active, and if [Mayweather] goes back to the ring and wants to challenge me, I’m a champion. Get back to the ring and we will fight again if he wants,” Pacquiao answered the persistent question. “If he wants to come out of retirement, then announce it and challenge me. I’m a champion and I don’t pick any opponent. I’m just waiting to see who will challenge me, who will challenge for my belt,” said Pacquiao. 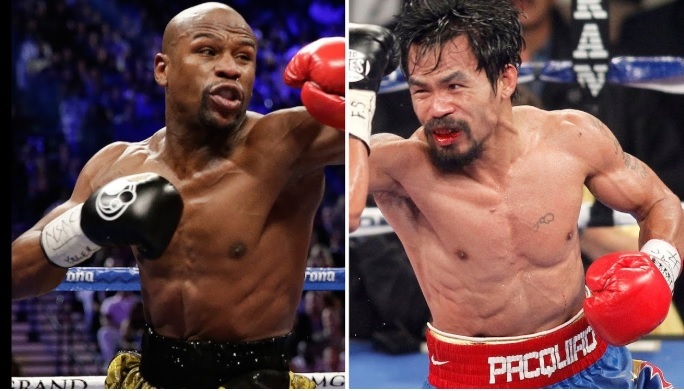 Pacquiao has to be careful on what he asks for because in 2017 when Mayweather came out of retirement he demolished lightweight champion Conor McGregor and ended up earning USD$300 million for that feat. Mayweather has always insisted that he is retired and he remains so. This is a wait and see condition. We’ll keep you updated on this matter.